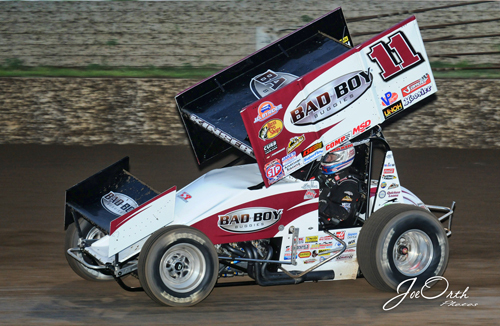 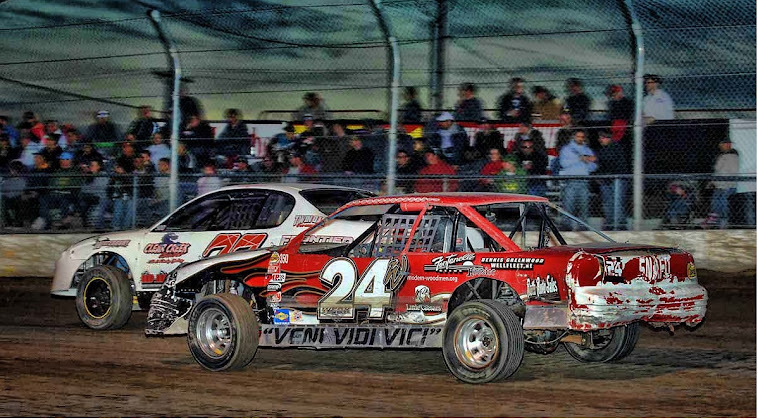 Steve Kinser claimed his second World of Outlaws win of the season at Junction Motor Speedway. 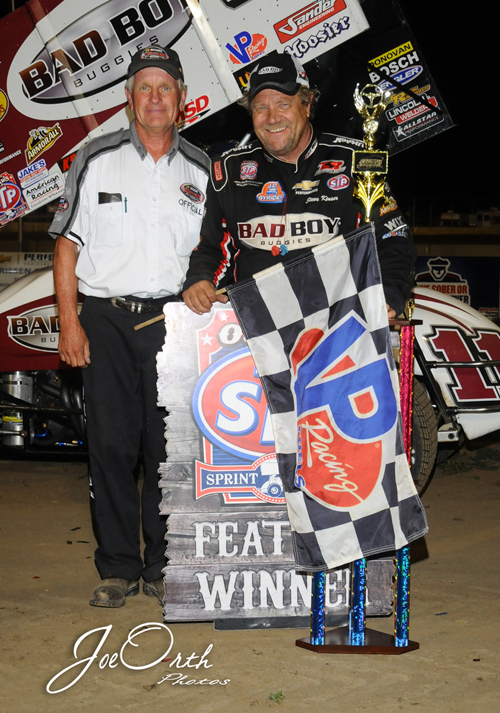 JMS promoter Delmar Friesen with Steve Kinser in victory lane. 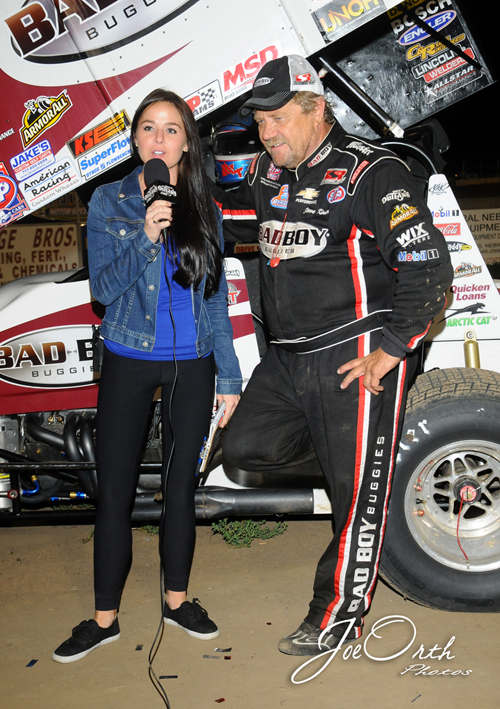 Natalie Sather interviews feature winner Steve Kinser. 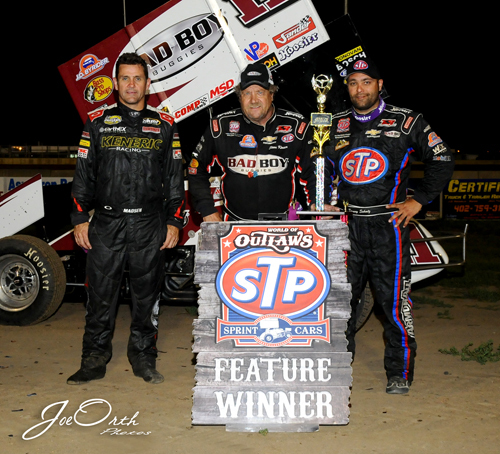 Top Three; Kerry Madsen (2nd), Steve Kinser (1st), and Donny Schatz (3rd).